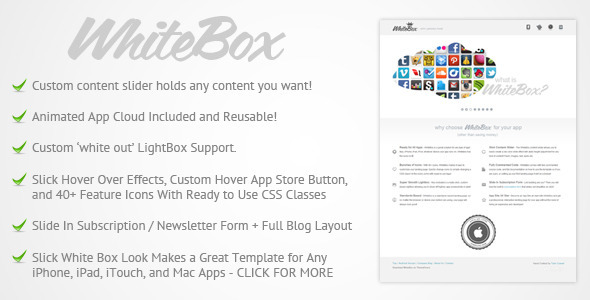 WhiteBox is a Premium App Website Template that has looks to fit any niche. 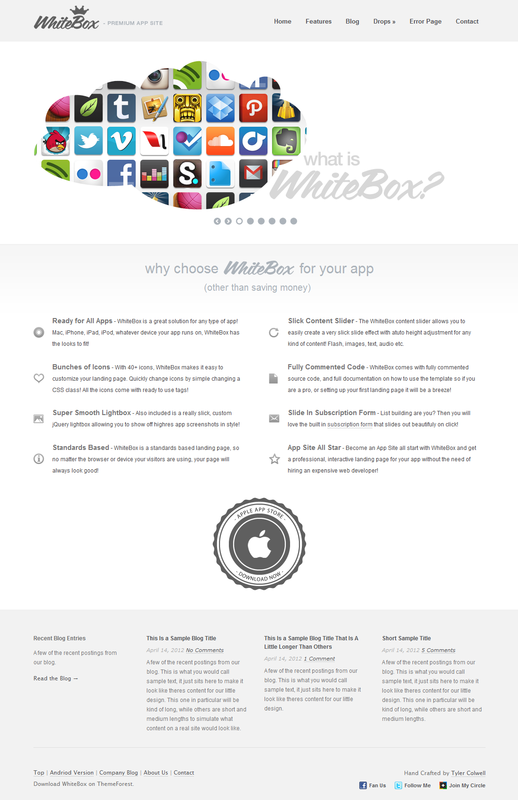 iPad, iPhone / iTouch, or the Mac App Store, WhiteBox will fit your app perfectly and bring great interactive features to draw visitors’ attention. 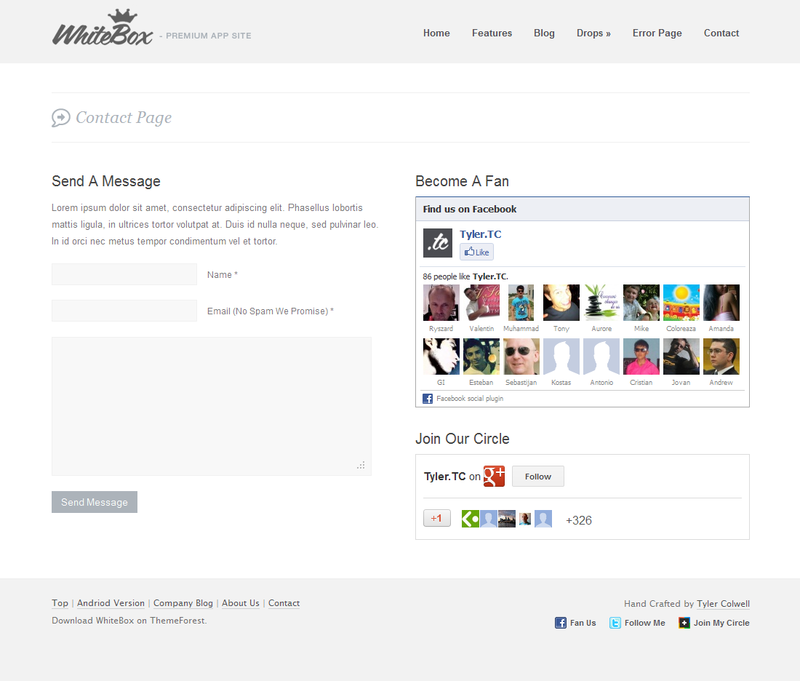 It includes all kinds of great effects and a fully styled blog layout with comments. Awesome custom 960 slider holds any content you want! Flash, Images, Text / HTML, Audio etc. with a custom slide navigation. Built-In Lightbox support allows you to show off large images (screenshots) in style with a slick, custom, white out theme with cool hover effects. Superfish drop down menu support! 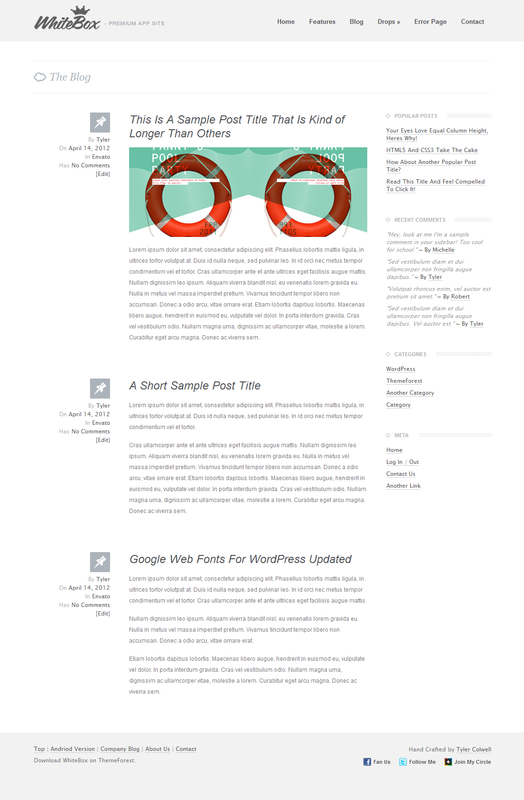 Full styled blog layout and comments with cool page sliding effects! 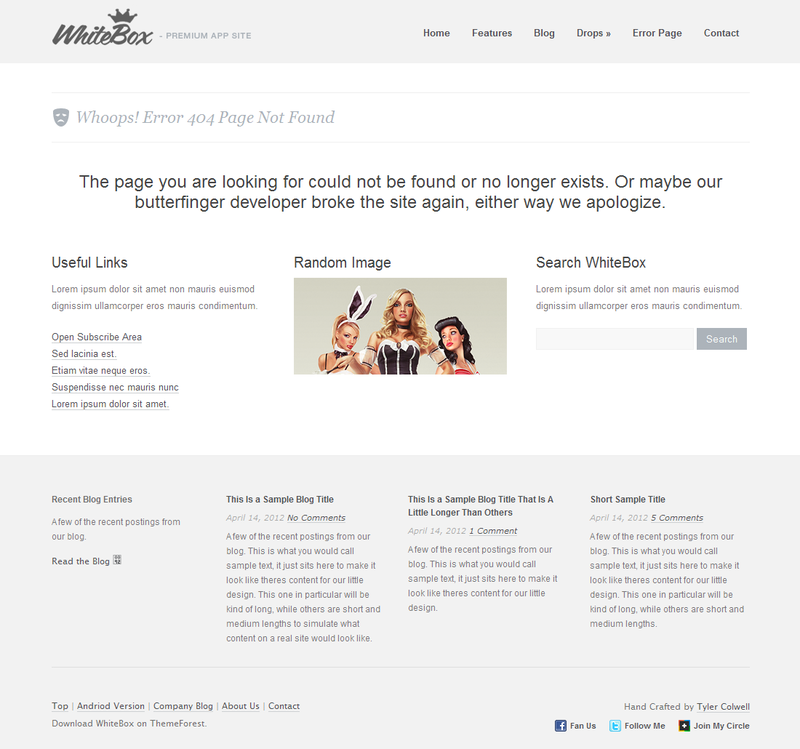 Also includes 404 page, contact page, and features page showing all kinds of awesome goodies! Slick social hover effects with support for Pinterest, Facebook, and Twitter! Hover over custom made App Store button! Bunches of Icons. 70+ ready to use icons and social icons with ready to use CSS classes! Easy to use grid content system! Fully commented source and JS with full documentation included.